New York's Backtrack return with their first slab of new music since 2014's 'Lost In Life'. This limited edition 32 page full color magazine / 7" flexi contains exclusive photos, art, illustrations, stories, lyrics, tattoo flash, and 2 brand new songs from the band's recent recording session with Dean Baltulonis (No Warning, Madball, American Nightmare). These two new songs continue in the true NYHC tradition of bands like Madball, Killing Time, and Outburst while still remaining fresh and injecting their own unique flavor. Side A features 'Bad To My World', the lead track from the bands upcoming full-length LP, while side B features a song 100% exclusive to this release, 'Breaking Loose'. Two song limited edition flexi. 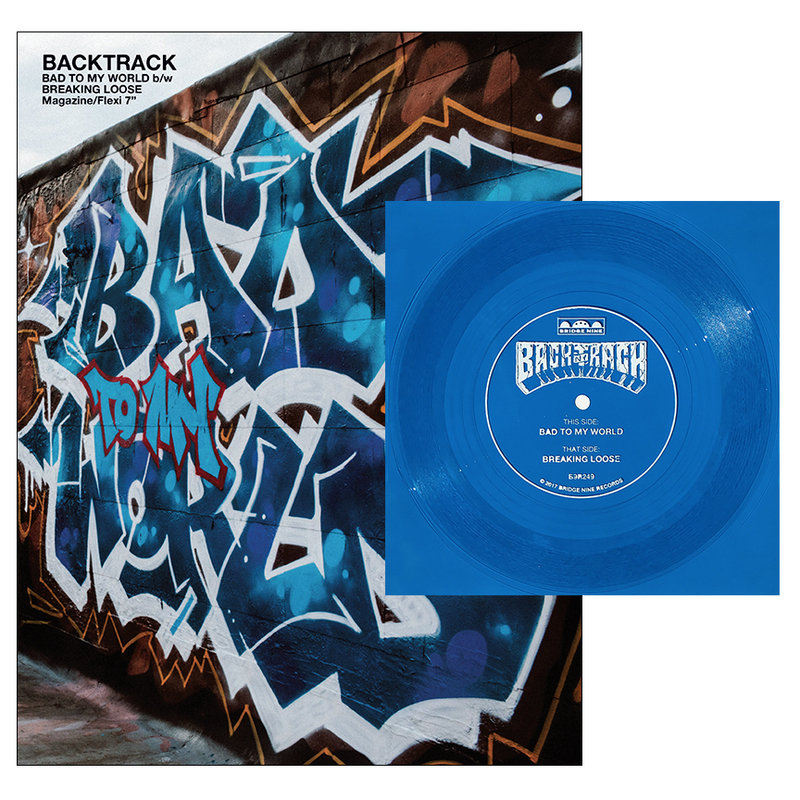 Comes inside a 32 page magazine dedicated to Backtrack's forthcoming album, Bad To My World. The B-side, "Breaking Loose", is exclusive to this release. Preview the zine in its entirety HERE!